I have had this post swirling around in my head for quite some time. Then, a couple weeks ago, a friend contacted me, asking for advice on how to be there for her friend who recently had a stillborn baby. I finally had the inspiration needed to write. 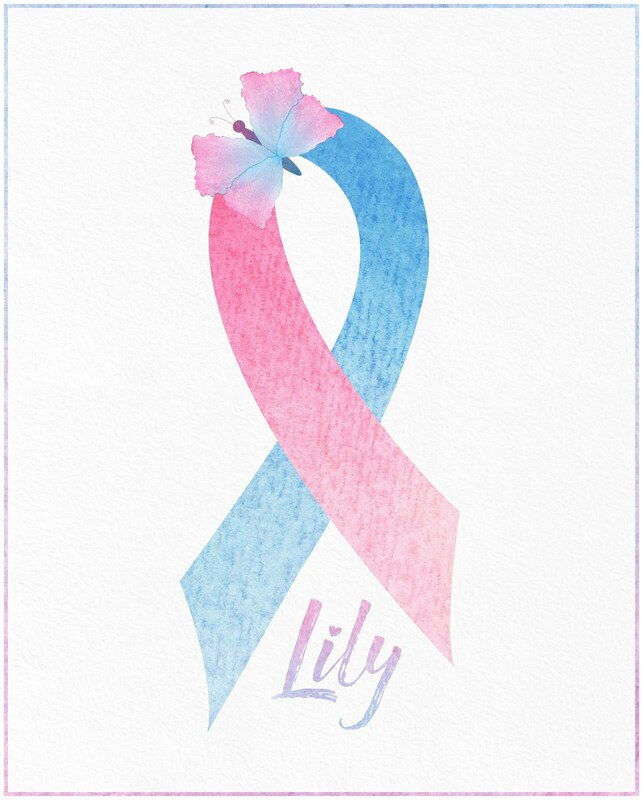 I realize that many people have a friend, family member, or coworker that has or will at some point experience the devastating loss of a baby. So, what do you say/not say and do/not do when it happens? I have put together a few pointers on what I have found to be helpful in my own life. Of course these are only recommendations and people are all different, but more often than not I have found other baby loss parents feel the same. Some of these can apply to other types of loss as well, such as the loss of a spouse or parent. Thank you for wanting to reach out to your loved one. I hope this helps. -Acknowledge. This can be one of the most important things. Realize that this baby was very real and an irreplaceable part of this person's life and family. Don't be afraid to acknowledge their existence and that special place they will forever hold. And don't be afraid to acknowledge that it is a devastating loss. Do not pretend it never happened! And please don't avoid seeing them, calling them, etc. Also realize that not only was a child lost, but a grandchild, niece, nephew, cousin, etc. Reach out to the grandparents, aunts, uncles, cousins. They are grieving too. -Speak their name. Don't be afraid to say their child's name. He/she was a very real person! Ask questions about the baby. Show that you care about the baby's life. It soothes my broken heart and sings to my soul!" "If you know someone who has lost a child and you're afraid to mention them because you think you might make them sad by reminding them that they died, they didn't forget they died. You're not reminding them. What you're reminding them of is that you remember that they lived, and that's a great, great gift." -DO something. When tragedy strikes someone's life, it really gets under my skin when people say, "let me know if there is anything I can do." Like that person is really going to ask for help, especially from people they aren't close with. So many people say that, don't ever do anything to actually help, and then go on with their lives and forget that person and their grief...but feel good about themselves for saying it. Don't just say things...actually DO something, anything! Send flowers, a card, drop off a meal or things like groceries, toilet paper, milk, tissues, etc. (they will most likely not want to be out and about in the real world for a while), go visit, offer to take their other children out for an afternoon, or send a special gift. It seems that people think since there is no baby, there is no need to take a meal. They may feel awkward about it. It is even more important to take a meal to the family when they lose the baby and don't get to bring him/her home. Not only will the mother be recognized overing from birth (just as if she had her baby at home with her), they will also be grieving intensely (which new parents of healthy babies aren't doing)! Get creative! Take them a box with a candle, two matching blankets (one for baby and one to be kept with family), a picture frame, a grief journal, cards for babies hand and footprints, a little baggie for baby's hair, etc. "Meaning to" do something is not the same as actually doing it. 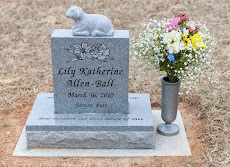 I know that's how I felt after losing Lily and now that a friend lost her husband, I am feeling the same way for her. -Don't pressure. Please never think that they will ever "get over it." Don't think they will go back to the person they were before their loss. This has irrevocably changed them forever and therefore it may change your relationship. Accept that. Be patient, kind, loving, and gentle with them. Allow them to grieve the way they need to. Let them cry and scream if they need to. They lost not only a baby, but a toddler, child, teenager, adult, potential grandchildren. They lost all their hopes and dreams wrapped up into this precious life. They will not recover, as if they have the flu. They don't ever want to forget, but rather incorporate that lost little one into their life forever. -Just listen. Sometimes, they will just need to share their heart. Don't act as if you know all the answers, especially if you have never been through a loss like this. Sometimes they aren't looking for advice, just for an ear. If you don't know what to say, it is much better to be honest, rather than fumble over your words. Tell them you are sorry you cannot take away their pain. Sometimes they will not want to respond to your texts, calls, and emails. But, that doesn't mean they don't appreciate them and that doesn't mean you should stop sending them. At times, a listening ear, an "I'm so sorry," and a hug is just right. -Share resources. Please, as soon as your hear about their loss, mention the non-profit organization Now I Lay Me Down To Sleep. 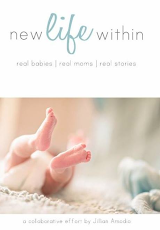 They offer free, professional photography to families experiencing the loss of a baby. And they are located around the country. It is a gift of remembrance, that honors that child's life. Also, tell them about "to write their names in the sand." 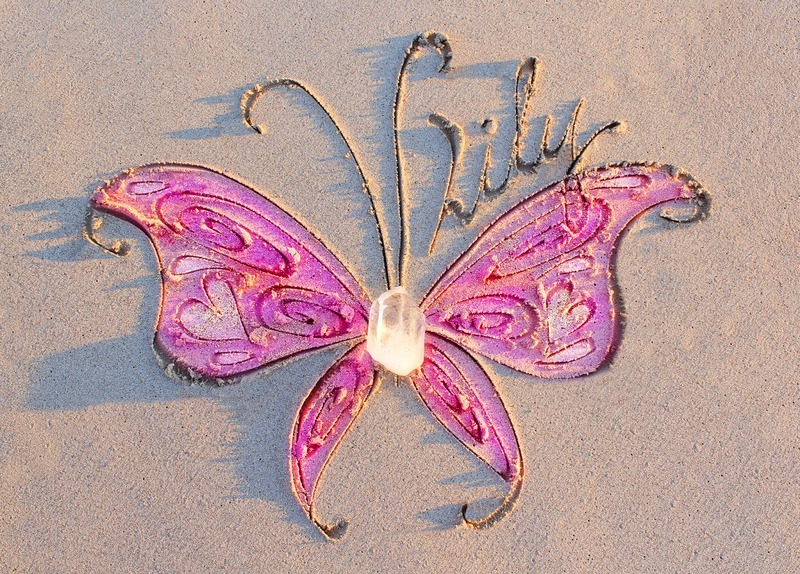 Carly Marie writes the names of babies who are in Heaven on the beach in Australia. Direct them to this blog in order to find more helpful resources. -Don't judge. It makes me really upset when people say harsh things to people for sharing photos of their babies. Please be sensitive about what you say and how you act. Remember that these are cherished photos-the only photos they will ever have of their baby! Those are the only memories they ever made with their baby. They won't get to post picture updates throughout the days, weeks, and months like other parents do. But just like every parent, they are proud of their baby and want to show him/her off. That precious baby is beautiful, no matter what condition they had or if they were alive or not at birth. Remember that no matter how short one's life is, they still are important, much-loved and forever will be missed. 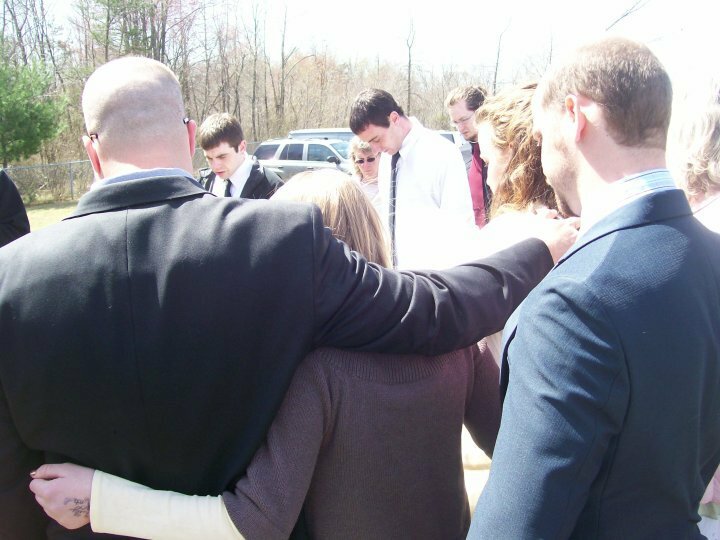 "Parents of stillborn babies, or any other baby in Heaven, shouldn't have to hide their grief and hurt just because others are afraid of it or don't think they can handle it." -Honor their memory. Do something special to honor their baby's life. 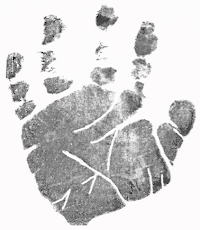 Get them a necklace with their baby's actual hand or footprint engraved (at places such as My Forever Child and Thumbies) or request for their name to be written on the beach in Australia at "to write their names in the sand." There are all sorts of special things to do if you give it some thought. It can be simple and you don't need to spend lots of money. Get them one of the Precious Moments: Mommy's Love Goes With You Figurines. 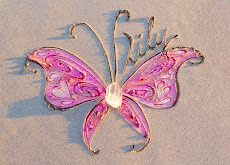 Do a balloon release with their baby's name on it or butterfly release and take pictures to show them. Donate to some sort of charity in their child's honor. Plant a tree, make them a scrapbook, etc. The smallest of gestures can speak a thousand words of love. -Show sensitivity. Before flaunting your baby's, your cousin's baby's, or whoever's baby's photos to this specific friend, think. Though you will never understand a loss like this unless it happened to you, try to imagine things that might be tough to deal with. Be sensitive in your actions and words. Ask your friend if they want to see those photos (just as an example) before thrusting it in their face. Before you start telling story after story of how your baby said his/her first word, startled crawling, walking, etc. remember that your friend will never experience those milestones, so it may be hard to hear you talk about them. 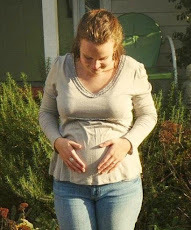 Even before making that big pregnancy announcement, be thoughtful in how you handle telling your friend. Of course you shouldn't feel like you are stepping on eggshells all the time, but it says a lot when you show thoughtfulness. -Remember. After a short time, the flooding of phone calls and cards will stop and their loss will be forgotten about, at least by a lot of people. People will expect them to be moving on. It is often in these times that they will get lonely and especially need love and support. Sometimes it's the silence that hurts the most. Call them every now and again and ask them how they are. Let them know that you are thinking of them and their baby. It will bless them to know they and their babies aren't being forgotten. Holidays and anniversaries will be very difficult without their baby. Make a point to remember their baby's birthdays, Christmas, etc. When you send a card for Mother's Day or other days, mention their baby. "Remembering so and so today" is really all you need to say. I know Mother's Day is always very difficult for me, especially not having any other children on earth to celebrate with. Not many people remember that I am and will forever be a mother on Mother's Day. Go out of your way to tell that person you acknowledge they are a mother! Mark the dates that are important to their baby (such as due dates, different anniversaries and days such as Pregnancy and Infant Loss Remembrance Day) and send them an email, a card, or visit them and let them know they aren't the only one that remembers what that day is to them and will forever be to them. As mentioned above, Lost for Words Card Line is a wonderful place to find cards for all occasions for babyloss parents. -Do not compare their grief to anyone else's! "On a scale of one to ten, when your child dies, it is always a ten." -Do not say things like " God needed another angel," "There is another star shining brightly in the sky," "It wasn't meant to be," etc. It may sound comforting to you, but more times than not, it will upset your friend, especially when they are in the depths of their fresh grief. -Please do not say that this person is still young and can have another. One baby will never replace another! -Don't say, "Well, at least you have other children." Think about it, if you lost one of your children, would you think, oh well, I shouldn't be sad since I have others? No way! -Don't make them feel as if they are grieving "wrong." Everyone grieves and heals differently. -Don't tell them you know exactly how they feel. No two losses are the same. -Don't tell them it was for the best because something worse could have happened. -Don't say, "Well at least you didn't get to know the baby." Any mother can tell you the incredible bond and love that is shared with a baby in the womb. There is nothing like it and there is no loss like it. -Don't say how you could never get through something like this and don't know how they are. As if they have a choice. -Don't tell them they will be mothers one day! They already are and will forever be! Their baby just isn't here with them. -Don't tell them about your pet dying, as if to compare that to their child dying. There is no comparison and it will only upset them for you to mention such a thing. When you get a pet, you expect to outlive it. I know that it's hard to lose a pet because I am an animal lover. But losing a child is completely different and the pain is incomparable. You don't expect to outlive your child. The reason I mention this is because someone actually talked about their bunny dying to my friend, trying to relate and show they understood. -Don't call to complain about your husband, children, etc. This person would give anything to have their child there with them! -Do not change the subject or act awkward if they bring up their child. It might make you sad, but imagine how sad their every day is. I'm sure there are things I am forgetting, but this is a good start. 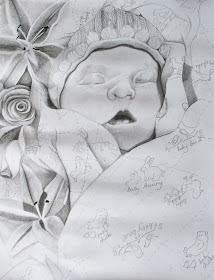 If you are a babyloss parent and can think of anything I should add, please let me know! And if you know someone who has lost a baby and have a question about how you can best be there for them, send me an email (at roseandherlily@gmail.com) and I would be happy to discuss that with you. Thank you for wanting to be the best friend or family member possible. Just the fact that you are seeking advice, rather than assuming to be the expert, is a wonderful thing! Thank you. Please feel free to share this with others. Blessings to you! Grab this button to add to your blog to help your friends and family know how to be there for those affected by babyloss! Thank you for posting this. A co-worker just lost his 3 month old sun suddenly - possibly SIDS. Your suggestions reminded me that I could do something for them. Thanks for sharing this. I hope it helps some parents get the support that is so desperately needed. Hannah Rose, this post is such an important ministry, both to those who are grieving and those who truly want to help. You have written with kindness and gentleness. I know God will use these words to make a difference for many. Thank you. 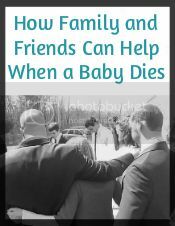 Hannah, this a great post that I'm sure will help so many people who just don't know what to do when their friends have lost babies. Thank you! This has great tips, hope you don't mind me sharing it. Thanks! I just wish I could go through and highlight several lines! Great article to share for sure! Wow I'll be sharing this too! Every single word is so true. This is some really good advise! So well said!!! Thanks for sharing! I love this! Wonderful and well said. I am working on a "How to Support a Grieving Parent post in the coming weeks, and will include a link to this post in mine. Thank you for this! If I can figure out how to copy this to my page can I do that? I just feel it will help so many! I get a lot of emails asking questions. Hannah, I shared as well. Well done. Wonderful and so well written great job!! !